The situation is sometimes simple enough — you simply use your web hosting provider’s nameservers when setting your domain’s settings at the domain registrar, and once the information propagates, your hosting works perfectly, with your site accessible via your domain. However, there are some situations where the situation is not so simple — for example, what happens if you need or wish to use your own domain name for your DNS Server entries (a common enough requirement, if you are running your own domain name server, with bind, for example). In these situations, you will need to do one additional step from your domain registrar account: register your domain’s DNS servers. It is recommended that you have a copy of your Net Logistics Welcome Mail in hardcopy, or easily accessible, as you will require information from that e-mail in the steps below. 2.) 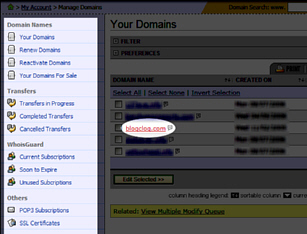 You will want to locate the domain in question. 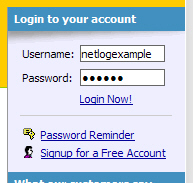 Here we see the example user has five domains in their account. We click on the view option. 4.) We will forgive the registrar for not making the option too obvious! 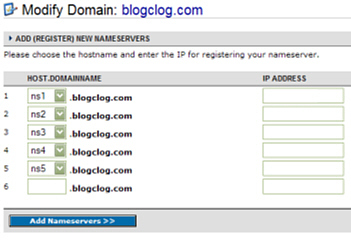 In this case, it is Nameserver Registration, located in the left bar, under Advanced Options. 5.) 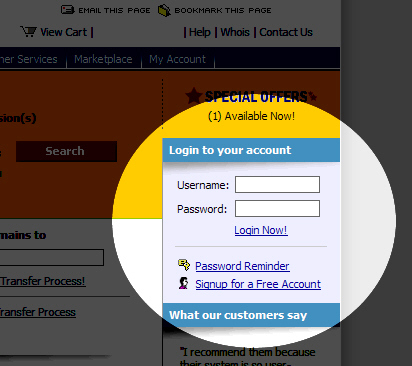 Clicking on this option will present you with a screen similar to that depicted below. Please note that, in most cases, this will be distinguished from the general DNS setup configuration screen(s) by the fact that the nameserver hostnames being configured will be preloaded with your domain – in this case, blogclog.com. Then we only need to click on Add Nameservers, for the change to take effect. The last step is, simply, to wait! 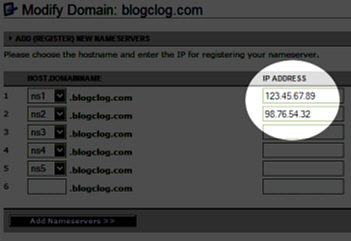 The newly entered DNS information will need some time to propagate (probably about 48 hours, but possibly less). 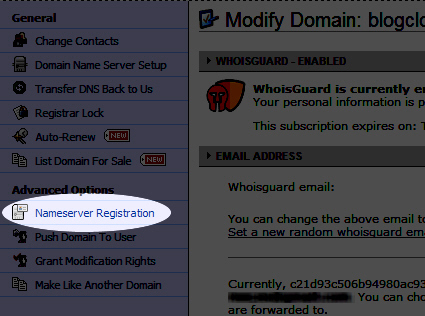 Once propagation has taken place, all requests to access your own domain will be sent to the domain servers you have assigned using the steps above.